Many teens experience serious body image issues, which places them at risk of taking drastic measures to slim down. From crash diets to excessive exercise, the pressure to be thin can take a serious toll on a teen’s well-being. Despite being dangerously thin, teens with anorexia nervosa think they’re overweight. They become obsessed with restricting their food intake. They weigh themselves repeatedly throughout the day and only eat very small quantities of food. Some teens with anorexia nervosa exercise compulsively as well. They may spend hours working out in an effort to prevent weight gain. Teens with anorexia nervosa experience serious health problems, such as thinning bones, low blood pressure, and damage to the heart and brain. In severe cases, the consequences can be lethal. Teens with bulimia nervosa engage in binge eating behavior. A teen may consume several days’ worth of food in one sitting. In an attempt to compensate for eating too much, they engage in destructive behavior such as forced vomiting or excessive laxative use. Teens with bulimia are likely to maintain an average or slightly above average weight. Similar to teens with anorexia, they’re likely to have a lot of concerns over their size. They may experience a lot of shame about their binging and purging and are likely to keep their behavior very secretive. The binge-purge cycle may occur several times a day or several times a week, depending on the severity. Symptoms of bulimia may include severe dehydration, electrolyte imbalance, decaying teeth, and gastrointestinal problems. Similar to bulimia, teens with binge eating disorder eat excessive amounts of food at one time, but they don’t purge or fast afterward. 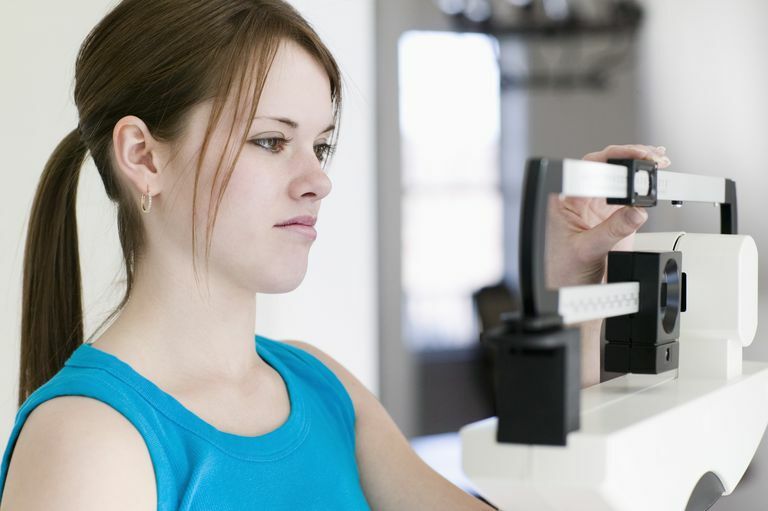 Most teens with binge eating disorders are overweight. Teens who binge eat are at a higher risk of developing high blood pressure and cardiovascular disease. Many of them experience a lot of guilt and shame about their eating habits. They tend to keep their binge eating habits as secretive as possible. You may find large quantities of food missing or you may discover food hidden in your teen's room. If a teen’s eating habits or food-related behavior causes significant distress or impairment, yet doesn’t meet the criteria for another eating disorder, it may still be an eating disorder. Extreme food restrictions, excessive nighttime eating, and purging without bingeing are just a few examples of other eating disorders. Eating disorders are the most fatal of all mental health conditions. If you suspect your teen may have an eating disorder, seek immediate treatment. Talk to your teen’s physician about your concerns and discuss your treatment options. Treatment for an eating disorder may consist of individual therapy, family therapy, or even residential treatment. Treatment should be guided by a physician and mental health professional who address the psychological and physical health of a teen throughout the treatment process.